Lanyon Bowdler is a forward thinking firm. We're always looking at ways we can improve our services for the benefit of our clients. We firmly believe that those who don't move forward get left behind, and we know from speaking to our clients they value the fact that the legal service we provide incorporates all the benefits of modern business practices with a depth of legal expertise that is second to none. So rather than celebrate and applaud our history, we use it as a strong foundation to build upon as we bring about continued success and evolve a firm that provides the most modern and client focused legal services available. So what does our History mean to you? Lanyon Bowdler is one of the most trusted and recognised firms (some would say brands!) in Shropshire and Herefordshire. 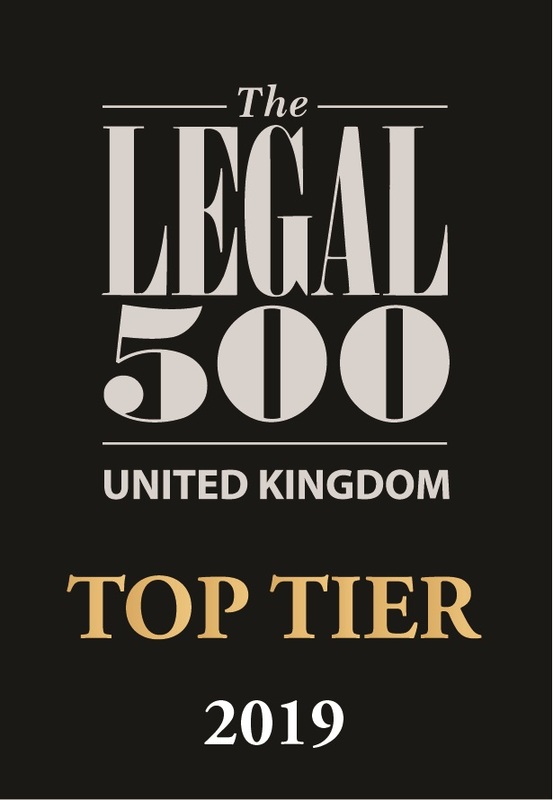 Lanyon Bowdler is known for its excellence in law. We deliver a high value service for clients who demand the best. These core characteristics have held true throughout Lanyon Bowdler's history. The most important thing our clients value about us is trust. New clients can be reassured by our excellent feedback statistics, or they can talk to our existing clients and hear first hand about the service they received from Lanyon Bowdler. As a result of the merger with Beaumonts Solicitors in 2016 we were operating out of two offices in Hereford City Centre. In April 2017, after considerable investment and refurbishment, our team moved out of Broadway House to join their colleagues in the offices on Offa Street. The merger with Beaumonts Solicitors, a progressive well respected firm of solicitors with origins dating back over 60 years. brings additional strength and depth to our team who are supporting clients throughout Herefordshire. The practice retains the premises on Offa Street and in Bromyard, as well those in Broadway House on Broad Street in Hereford. Moving to Broadway House on Broad Street in the centre of Hereford, means the teams are easily accessible to other local professionals and clients. The offices are on the fourth floor, with the added benefit of stunning views over Hereford Cathedral, which provides comfortable working space and meeting rooms. The offices are accessed via a lift or stairs, and parking for clients to the rear of the building is usually available. Lanyons, a highly recognised firm of solicitors, with roots dating back to the 19th century, merged with Shrewsbury practice J C H Bowdler & Sons in January 1988, since that merger Lanyon Bowdler had maintained a presence in the market town of Wellington. Due to relocation into the larger offices at Hazledine House in Telford, plus the additional space taken at Chapter House South in Shrewsbury, an opportunity presented itself to bring teams together in more modern open plan working spaces. The Wellington office therefore closed to the public in early January 2013. Both the Shrewsbury and Telford offices provide ample convenient parking, comfortable meeting rooms and disabled access. The firm took occupation of attractive premises just a few hundred metres from the original offices on King Street. These new offices at 4 St Martin's Street, include a ground floor reception area, together with meeting rooms and conference facilities. A pay and display car park is located across the road, plus there is car parking for visiting clients and disabled access to the rear of the property. At first floor level there are spacious open plan offices. Having acquired Lewis & Co in December 2010, the firm has been building relationships across Herefordshire; expansion of teams and new members of staff will now mean easier local access to the full range of legal services available for private individuals and businesses, as well as the region's farmers and growers. Earmarked for redevelopment, Brodie House was vacated in June 2012. A new cinema together with restaurants, living space and shops will enhance Telford Town Centre. Moving just a stone's throw away, the firm took occupation of open plan office space, and a spacious ground floor reception area, at nearby Hazledine House. Still adjacent to the shopping centre, these offices offer comfortable working conditions, ample meeting rooms and easy access to local car parks. On 1 December 2010 the firm consolidated its position in the region, with the acquisition of Hereford solicitors Lewis & Co. Conveniently situated on King Street in the heart of the city, legal services on offer were expanded to include agricultural expertise, complementing the firm’s position as NFU’s panel solicitors. The Hereford expansion follows the merger earlier in 2010 with Oswestry based L G Solicitors. With offices throughout the region, the very best legal advice is conveniently available to everyone. 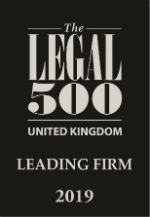 The firm converted to LLP status on 1 May 2010 and will continue to trade as Lanyon Bowdler. This merger resulted in the creation of the county’s largest firm of lawyers. With 16 member partners, and nearly 200 staff spread across the organisation’s offices in Shrewsbury, Ludlow, Oswestry, Telford and Wellington, clients throughout the county continue to benefit from the very best practical legal advice, friendly helpful staff, together with easy access to local offices. Both firms have extensive pedigrees, LG Solicitors’ roots date back to the 18th century and Lanyon Bowdler – formed in 1988 as a result of the merger of J C H Bowdler & Sons of Shrewsbury and Lanyons of Wellington – has a history dating back to the 19th century. A wide range of specialisms will be offered together with an increased geographical spread. Several key departments will expand, particularly Commercial Property & Agriculture, Wills & Tax Planning, Family and Residential Property. The decision to move the Ludlow office into the new Eco Business Park on the outskirts of town meant clients would benefit from ample parking facilities and staff would be provided a brand new environmentally friendly office. Lanyon Bowdler has the facilities to provide a top service to those needing legal advice in South Shropshire and Herefordshire, so clients don’t need to travel to the larger county towns. Lanyon Bowdler are committed to supporting the people, businesses and communities of Shropshire and the surrounding areas. The move to the larger offices in Ludlow enabled expansion of teams, in order to provide the best service possible. The merger with Morgans Solicitors represented an excellent cultural and geographic fit. The new office increased the comprehensive range of services offered to the people and businesses in Ludlow, South Shropshire and edging into Herefordshire. Due to the continued success of the Shrewsbury office, more space was required and so the firm took on Chapter House South and linked it internally to Chapter House North. The combined Shrewsbury office housed almost 70 partners and staff. Lanyon Bowdler were the first law firm in Shrewsbury to invest in modern new offices with parking and took the bold step of creating a large new open plan working environment for not only staff, but also partners. The Abbey Lawn development offered all the benefits of being outside the Town Centre, whilst remaining within walking distance. Staff and clients alike welcomed the new approach. This was a significant milestone and formed a blueprint for the future, which others have followed. Having operated for a number of years with a full time Managing Partner, the first steps were taken to develop a new management structure employing professional managers from outside the legal world to manage different areas of the business. In addition to the Managing Partner, the team grew to consist of a Finance & IT Director, IT Manager, HR & Training Director, Operations Manager, Accounts Manager and Marketing & Business Development Manager. This leaves the lawyers to get on with doing what they know best, confident in the knowledge that the business is being well-run and managed to support them. A fundamental objective of the newly merged firm was to establish a significant presence in the developing Telford New Town. This was done with the acquisition of Brodie House, right in the heart of Telford Town Centre. This was later expanded to take on a ground floor unit in 1998. J C H Bowdler & Sons of Shrewsbury and Lanyons of Wellington, two of the largest and longest established firms in Shropshire, merged to become the leading firm of Shropshire. Both firms had histories going back into the 19th century, but the merged firm was, and continues to be, at the cutting edge of delivering modern, efficient and client focused legal services. The firm looks forward and not backwards and continues to make significant investments in staff, technology and premises to remain at the forefront, often putting much larger firms than itself into the shade.